State sales tax bases are both too narrow and too broad. States provide exemptions for many final consumption products, such as groceries and prescription drugs, and do not tax services in a notable way, both working to narrow their tax bases. Sales taxes ideally should apply to all final consumption. 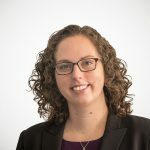 At the same time, states don’t always provide the necessary exemptions for business inputs, which should be exempted from the sales tax, making their tax bases overly broad. Taxing inputs in a sales tax leads to “tax pyramiding.” Throughout the production cycle, the tax can be assessed multiple times. This leads to higher prices for consumers, fewer job opportunities for workers, or limits the business’s ability to expand. If too many business inputs are taxed, a state’s sales tax could actually start to function as a gross receipts tax. 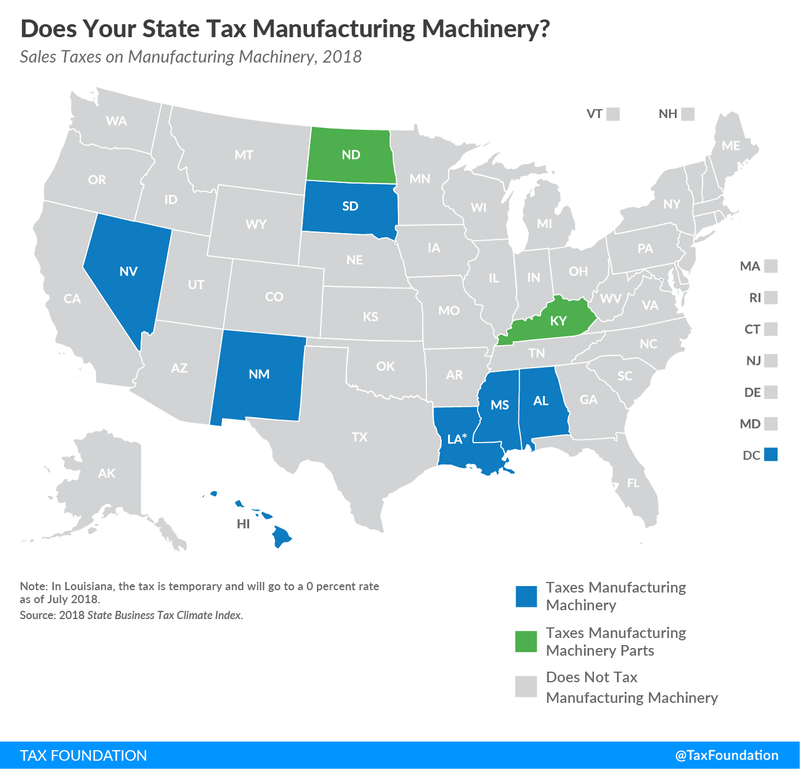 This week’s map looks at just one of the many business inputs that states tax in their sales tax bases: manufacturing machinery. Many states correctly exempt this business input, but there are several notable inclusions. The “manufacturing machinery” category in our State Business Tax Climate Index involves taxing either machinery or parts or both. Alabama, Hawaii, Louisiana, Mississippi, Nevada, New Mexico, South Dakota, and the District of Columbia tax manufacturing machinery at least some of the time. As we’ve noted in other publications, the sales tax bases in Hawaii, New Mexico, and South Dakota are incredibly broad, so it’s not surprising that they would tax these types of transactions. Kentucky and North Dakota do not tax manufacturing machinery, but do tax manufacturing machinery parts. In Louisiana, the tax is temporary and will go to a 0 percent rate as of July 2018, unless changes are made. Hopefully, the Louisiana legislature allows that sales tax to phase out. States should continue to exempt business inputs from their sales tax to improve their competitiveness, and help ensure lower prices for their residents. Manufacturing machinery is just one of many business inputs that states incorrectly include in their sale tax bases.